Disney+, the new streaming service that will host Marvel, Star Wars, and other Disney properties, will officially launch on November 12, 2019, the company announced during an investor presentation. At launch, the monthly price will be $6.99; the service will have an annual price of $69.99. The shows that have been announced so far: Marvel will have live-action series WANDAVISION, THE FALCON AND THE WINTER SOLDIER, and LOKI; animated series WHAT IF will kick off with a Peggy/Steve episode. 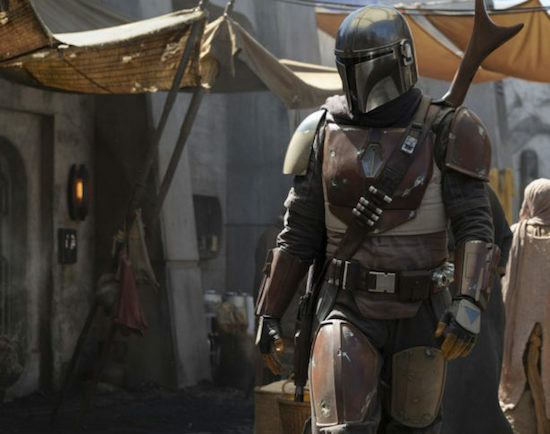 STAR WARS’ two announced series—Jon Favreau’s THE MANDALORIAN, which will be ready at the service’s launch; and a ROGUE ONE-adjacent series starring Diego Luna and Alan Tudyk. Plus, a number of series based on films—a MONSTERS INC show, and HIGH SCHOOL MUSICAL: THE MUSICAL: THE SERIES, will debut on the service. Additionally, the streaming service will have original movies, including a new take on LADY AND THE TRAMP and an original holiday flick, NOELLE (starring Anna Kendrick and Bill Hader). While where other Disney and 20th Century TV properties end up is still to be officially announced, Disney+ is starting off with a big acquisition: THE SIMPSONS. The full first 30 season—which currently live on the FX app—will be available on Disney+ when the app launches in November. Are you intrigued by the new Disney+ service?